Every now and then, a new word or phrase catches the people’s imagination. This time it’s ‘cashless economy’. Not to be left behind, Ladakh is also heading towards a cashless society and the administration is focussing on propagating Point of sale machines (POS). Gradually they will shift to other digital modes of payment.The administration is also appealing to the traders of Leh to adopt digital payment mode. But there are a number of hurdles in making Ladakh a cashless economy. To be sure, the government on its part is working at various levels to reduce the dependence on cash. 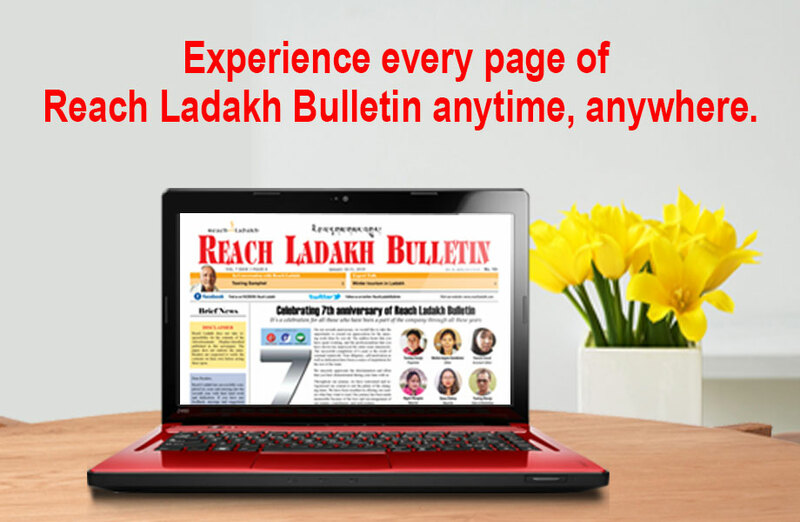 But the question is: Will it be successful in Ladakh where internet hardly works. Adopting the idea of cashless economy blindly without knowing the consequences seems to be a hurried decision. Though this is a welcome step, we need to find an alternative to the problems that we are facing in our daily life in Ladakh, be it the lack of internet or the inconsistent power supply. Since the nation is heading towards a cashless economy, implementing the scheme here in Ladakh seems of no use. As thousands of people still don’t have bank accounts, internet or infrastructure to understand and use online payment methods etc, we need a large-scale penetration of digital services and PoS terminals to facilitate digital transactions in rural areas and the untapped markets in Leh town. Inconsistent electricity and sporadic internet access have eroded the people’s trust in ATMs and POS machines. In fact, there are many people who don’t know how to use the cards. Remember, there is also a cost to digital payment that will be borne by the consumer. Also, the low literacy rates in rural areas along with the lack of internet access or even basic utilities in many places, it becomes very difficult for people to adopt the habit for digital transactions. On the other hand, it puts an oppressive burden upon the payer and the payee. Therefore, it seems the region is not ready for such an immediate shakeup. The sudden imposition of such a scheme in a region where only a small percentage of people have access to debit/credit cards can only be attributed to uninformed approach. I think these questions need to be debated before the region is pushed into embracing the digital mode for monetary transactions. To put a card or a smartphone in everyone’s hand, to provide real access to everyone, and to make everyone adopt the digital mode will require advocacy, education and persuasion and not coercion. However, as noted above, a material transition to a cashless economy will depend on a number of factors. First, the availability and quality of telecom network will play an important role. Second, banks and service providers will have to constantly invest in technology in order to improve the security and the ease of transaction. People will shift only when it’s easier, certain and safe to make cashless transactions. Third, the government will also need to play its part. It will have to find ways to incentivise cashless transactions and discourage cash payments.